Arsene Wenger's 22-year reign at Arsenal came to its eventual end last season. He was the club's most successful manager of all-time, having won the Premier League on three occasions, the FA Cup seven times as well as creating the Invincibles - arguably the best team to ever play in England's top-flight. He also transformed the sport in the Premier League during the early 2000s. Last year, it was clear that the Gunners underperformed significantly. They failed to qualify for the Champions League, lost in the Europa League semi-finals to eventual winners Atletico Madrid and struggled for consistency across all competitions as they finished sixth. Wenger, who had signed a two-year extension last summer, opted to leave and speculation was rampant about who would succeed the experienced Frenchman at the helm. Unai Emery, who previously managed the likes of Valencia, Sevilla and most recently, Paris Saint-Germain, was chosen to take over. With that in mind, here are three reasons why the Spaniard will not be a managerial failure in north London. One of the reasons behind Arsenal's struggles of late, was the problems with the spine of their side. Petr Cech, who is an experienced and equally legendary goalkeeper, was making far too many careless mistakes which cost them points. They have since addressed this problem, having signed Bayer Leverkusen's first-choice goalkeeper Bernd Leno. He is expected to be their new number one and will hopefully step up when needed most as their last line of defence. Another position which posed plenty of problems was at centre-back. Arsenal's defensive issues have been persistent in recent seasons - they conceded 24 more goals than champions Manchester City and 15 more than fierce rivals Tottenham. 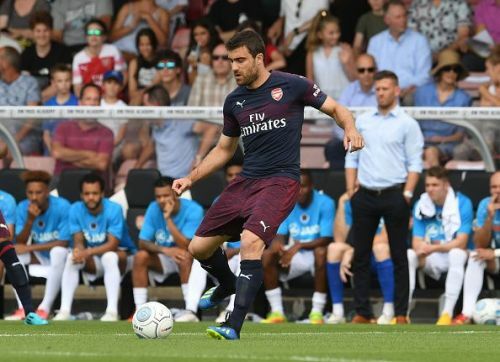 Borussia Dortmund's Sokratis was acquired this summer, an experienced no-nonsense defender who is calm on the ball and reliable at the back too. 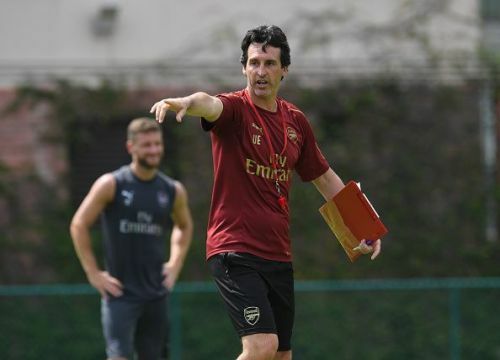 It makes for a refreshing change, given Shkodran Mustafi's inconsistencies at times last term as well as Laurent Koscielny's long-term injury. Santi Cazorla has never been the same after lengthy injury lay-offs despite excelling in various midfield positions for Arsenal over the years and this summer, they have looked to address this too. Uruguay's defensive midfielder Lucas Torreira, 22, was one of the World Cup's best players and earned a £30m move to the Premier League as a result. He has drawn comparisons to Chelsea's N'Golo Kanté, which is the type of player that every team wants in their squad.